(TriceEdneyWire.com) – President Barack Obama has declared an emergency exists in Michigan because of high levels of lead found in Flint’s drinking water that can cause permanent physical damage to the city’s residents. 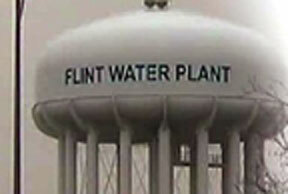 The population of Flint is 57 percent Black. His declaration authorizes the Department of Homeland Security’s Federal Emergency Management Agency (FEMA) to coordinate disaster relief efforts to alleviate hardships and suffering caused by an emergency. On Thursday, Jan. 14, 2016, Michigan Gov. Rick Snyder asked for federal aid for Genesee County, where Flint is located. Gov. Snyder had declared a state of emergency on Jan. 5 for Genesee County, following the county’s local emergency declaration on Jan. 4th. The declaration makes available all state resources in cooperation with local response and recovery efforts in Genesee County as outlined in the Michigan Emergency Management Plan. In addition to getting help from federal, state and local governments, Cher, the Academy Award winning actress and Emmy Award winning singer, has teamed with Icelandic Glacial to donate 181,440 bottles of water to Flint. The water will begin arriving Wednesday at the Food Bank of Eastern Michigan, which is based in Flint. The water will be distributed to community centers, food banks and fire stations located in low-income areas. Icelandic Glacial is super-premium spring water bottled in Iceland. Cher has been monitoring events in Flint and she has been working with Mayor Karen Weaver. Cher has been an outspoken critic of Michigan’s lack of response and commitment to Flint.